I didn't have this book on my "to be read" list, but when I received a copy of Beautiful Maria of My Soul from the publisher through Library Thing I decided that I should probably read The Mambo Kings Play Songs of Love first. You see, Beautiful Maria of My Soul is a follow up novel to The Mambo Kings. I'm glad I did this or I wouldn't have gotten the full impact of Beautiful Maria. The Mambo Kings Play Songs of Love is the story of the Castillo brothers, musicians who leave Cuba in 1949 to seek fame and fortune in New York City. The story is told by Cesar Castillo in a series of flashbacks as he drowns himself in both memories and booze seeking to relive his glory days. The setting for this walk down nostalgia lane is 1980 in a faded hotel room that keeps the past near for Cesar as he seeks to end the story of his life. Cesar and Nestor are about as different as brothers can be. Cesar is brash and flashy. Nestor is quiet and pensive. Cesar never learns how to love and spends his life seeking one carnal pleasure after another. Nestor loves too much and dwells to obsession on beautiful Maria, the lost love who jilted him and remains in Cuba. Cesar despises the father who abused him. Nestor ... well, Nestor has an Oedipal complex and happily notes that beautiful Maria has the same name as his mother. His fondest memories are those of being coddled by his mother and embraced by beautiful Maria. Cesar and Nestor are alike in one thing; their lack of development. Cesar and Nestor never change or mature. Ultimately, their lives have no meaning. Cesar, even while drinking himself to death, is still glorying in his stallion sized pinga. Nestor never quits longing for the past and obsessing on beautiful Maria. This lack of growth did not endear the characters to me, but it does lend itself to the creation of a deep sense of sadness and longing that permeates The Mambo Kings and washed me in waves of nostalgia. The heavy nostalgia might be a deterrent for some readers, but Hijuelos does it exceptionally well. Another thing that Hijuelos does well is to capture the 1950s Latin music scene and Cuban-American culture of New York City. The novel is rife with details and descriptions as well as cameo mentions and appearances of Cuban-Americans like Desi Arnaz. I found it hard to tell fiction from reality sometimes as Hijuelos wove real people and places into his story. 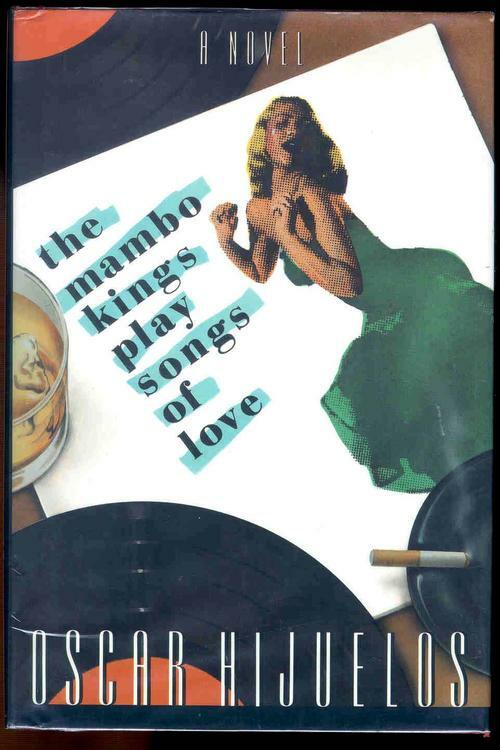 Overall, I enjoyed The Mambo Kings for the atmosphere that Hijuelos created and for his ability to keep me reading the novel despite my loathing of his characters and the ad nauseum references to Cesar's pinga. Seriously people ... Cesar was totally overshadowed by his pinga. Should be listed as an actual character. Nuff said? Beautiful Maria of My Soul is an expansion of the story Hijuelos told in The Mambo Kings, but this story is from beautiful Maria's point of view. In The Mambo Kings, Maria is a minor character with a major influence and presence. Maria, or the thought of her, permeates The Mambo Kings, yet we learn little about her. Who is she? Why does she reject Nestor Castillo? What happens to her? Maria's story begins as she leaves her beloved valle (country valley) to seek her own version of fame and fortune in the big city of Havana. There she finds that it is difficult to make a living when you have no skills and are an analfabeta (illiterate). What beautiful Maria does find, is that she can capitalize on her extreme beauty and her ability to dance. She takes a series of jobs in various Havana nightclubs as a dancer and gains a certain amount of local fame. She also finds that men are willing to "take care of her." Maria hardens over time and develops a "... general indifference to men and ... few expectations ..." as she trades a modest life and independence for the security of men with money. During a period of disillusionment, Maria meets Nestor Castillo and has an affair with him. It is a very passionate affair. Which ends. Abruptly. At Maria's request. You will have to read the book if you want to know why. Nestor is devastated, writes a haunting bolero to the painful memory of Maria and spends the rest of his life obsessing over the loss. But, this is Maria's story and Beautiful Maria keeps the focus on her. Beautiful Maria of My Soul, like The Mambo Kings, has a strong sense of nostalgia and longing. Nestor longs for Maria. Maria always longs for what she can not have and late in life shows a suppressed regret when she says, "None of us can go back. All those memories are what? Just little dreams." Huh. Just little dreams. I didn't like Cesar or Nestor and I don't like Maria. Another "stellar" Hijuelos character. I wonder if I would hate all of his characters? But like The Mambo Kings, Hijuelos kept me reading Beautiful Maria. The scenes of Havana are both beautiful and gritty and the reader gets a sense of the changes brought about by Castro's revolution which drove so many Cubans to the United States seeking a new life. Hijuelos has an excellent ability to bring his settings to life and in Beautiful Maria he tells a story that made me want to weep for the passage of time and the "what could have been." I won't give away the ending (or the clever bit of the novel that took me by surprise), but Beautiful Maria has a delightful and satisfying end. Hijuelos brings the story 'round and ties The Mambo Kings and Beautiful Maria, the past and the present, together into a lovely whole. P.S. Since the alternate title of my post is The Pinga Post, I thought y'all might want to know that pingas do not play as prominent of a role in Beautiful Maria (thank goodness) and Hijuelos manages to insert some rather amusing commentary in this newest novel about his notable exposure of pingas in The Mambo Kings. I need to read both of these! I recently read Hijuelos' YA novel Dark Dude and it made me more curious than ever to read the rest of his work. Great post! Read Mambo Kings too long ago for it to count, so I guess I'll have to give it a second go (watching out for all the pingas, of course) before reading Beautiful Maria.Which you have made me want to try.